God makes more than 7,000 promises in His Word, and He has proven faithful to keep every one of them. 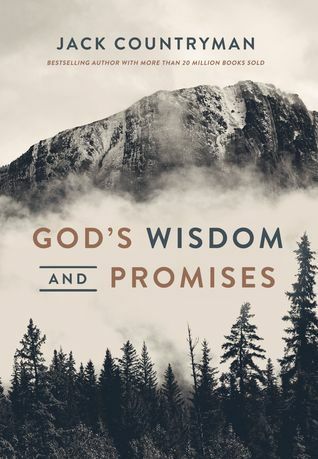 Find out what that means for you through bestselling author Jack Countryman’s newest book, God’s Wisdom and Promises, a manual for life that will point you to the Source of all true comfort and peace, no matter what your circumstances. If you want to experience all God has promised you for a closer walk with Him, God’s Wisdom and Promises is the perfect tool to help you in that journey. Readers have been looking to the God’s Promises brand for years to distill and understand the Scriptures. In God’s Wisdom and Promises, you will dive deeply into the grace, mercy, love, hope, and blessings God offers His people in His Word. Expertly divided into topics that are relevant to your everyday life, this book offers a guide for faith that will encourage and inspire you with the Word of God. No matter how mature or new you may be to the faith, God’s Wisdom and Promises is filled with hope and blessings for all stages of life. Scripture is from the trusted New King James Version of the Bible. Cassandra's Review- A great compilation of Biblical scriptures to spend time with during the day. They help to clear your stress and give a positive feeling overall along with bringing in new thoughts of God. If you have faith and belief in the God and that he has wisdom for you through the words of the Bible, this is going to be a great read. As for the authors actual writing style, there is not much in this book to tell of as it is more so passages from another book.